Jafreen Uddin is the deputy director of development for special events at PEN America. She has a background in communications, education, and event management. Prior to joining PEN America, she helped oversee executive education as an assistant director with NYU’s Stern School of Business. 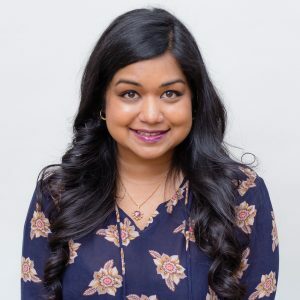 She has also served as programs and events manager for the Center for Social Innovation’s New York City space and worked for nearly eight years with the Brennan Center for Justice at NYU School of Law. She received her B.A. in political economics from Barnard College, Columbia University, and her M.A. in global history from NYU’s Graduate School of Arts and Science.